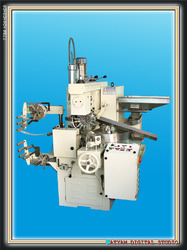 The Machine is a combination of functions including Sugar Rope Pulling, Cutting, Feeding, Stick Conveying, Stick Inserting, Continuous Flat Lollipop Forming, Lollipop Clamping and conveying and Sandwich Type Packing. Innovation is our forte and keeping the same in mind, we strive to design a wide range of Waflomatic. These products has been designed in order to make crispy sandwiches. We manufacture these tags using advanced techniques and methodologies, owing to which is widely being demanded in the industry. 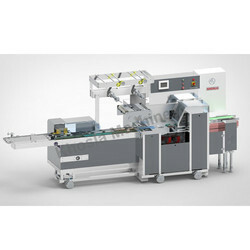 Years of understanding of this domain has helped us in providing the premium quality of Sandwich Maker. Easy to use, compact design and energy efficiency makes the sandwich maker highly demanded. Backed by specialized expertise and sound technological facilities, we are providing our clients with a vast array of in the domestic or local markets. These products are manufactured by the team of professed experts. Our products are praised for superior performance, premium quality and other such salient attributes. The offered variety can be used for preparing tasty and crunchy sandwiches.